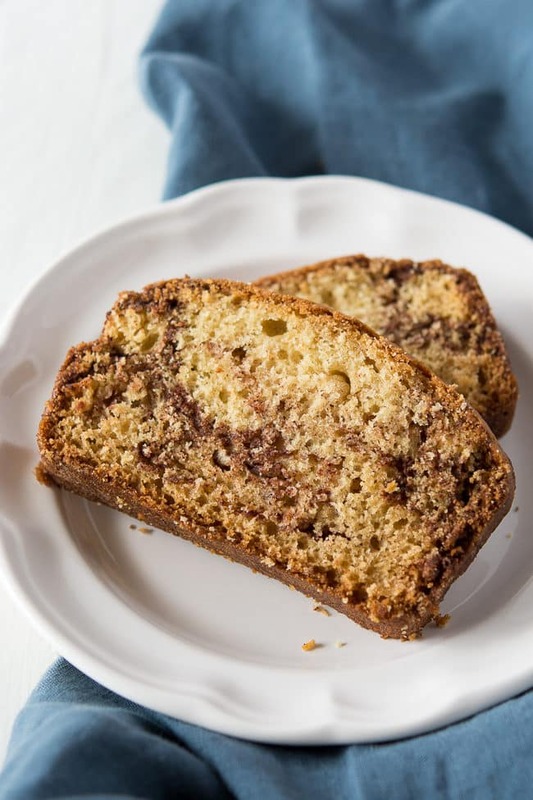 One of my favorite indulgences in life is sitting down with a good book, a cup of coffee and a yummy treat like this quick and easy cinnamon bread. 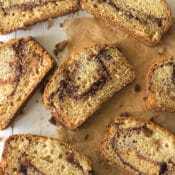 This cinnamon bread recipe is so simple to whip up and it delivers the perfect amount of sweetness to enjoy as a breakfast, snack, or a delicious companion to a hot mug of coffee or tea. 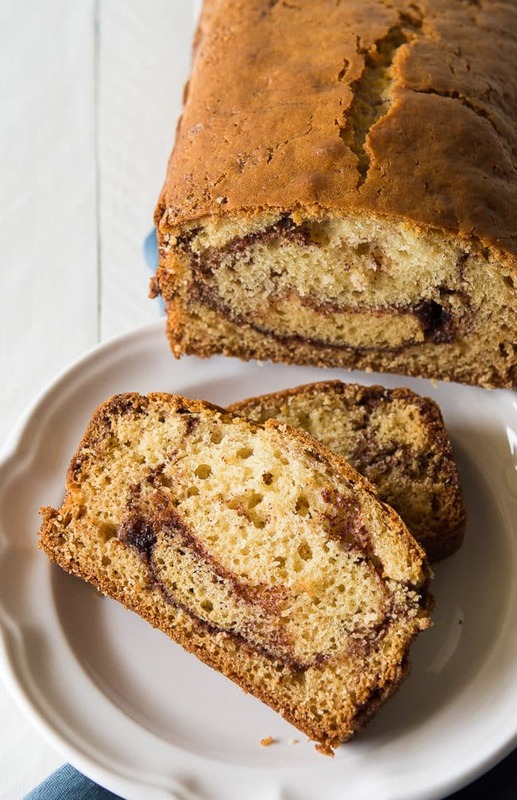 It seems like every recipe I make wiggles its way into the heart of one of my family members, and it’s my mom who really can’t resist this yummy cinnamon bread. I usually end up wrapping the second loaf up for her and my dad to enjoy. Share the love (and the loaves), right? RELATED: Check out my delicious orange cranberry bread, this great cream cheese filled pumpkin bread, and my famous blueberry zucchini bread! Oh, and this chocolate chip banana bread is EVERYTHING. 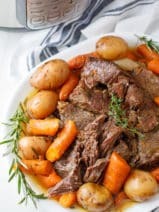 I actually found this recipe in an old church cookbook several years ago. Do you have any of those old church cookbooks laying around your house? They’re usually filled with wonderful recipes submitted by the congregation. 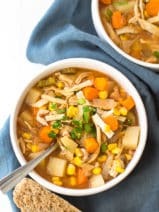 I’ve found some of my favorite recipes in church cookbooks that I’ve collected over the years! 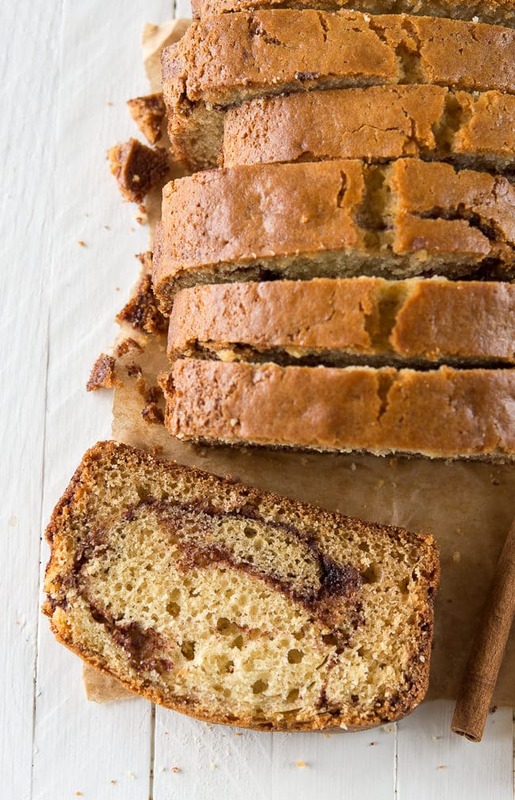 Be sure to pin this fantastic cinnamon bread recipe so you can refer to it later. I hope you love it as much as I do! 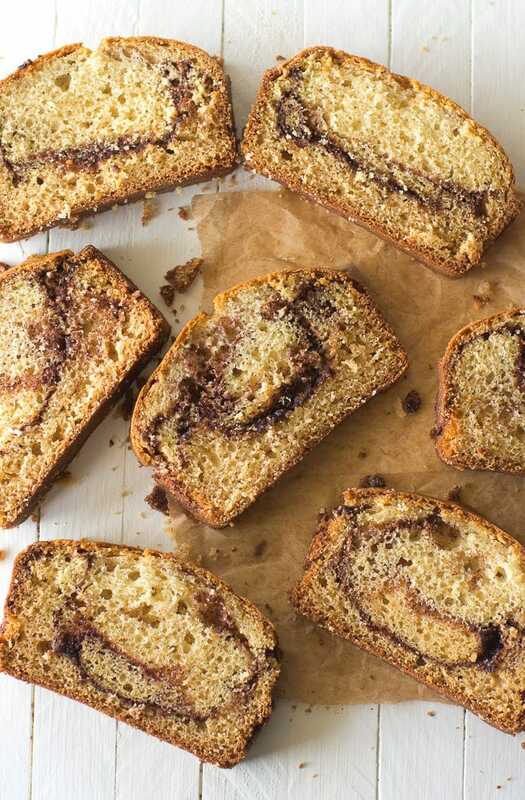 This quick and easy bread recipe is swirled with cinnamony goodness! Preheat oven to 350 degrees. Spray 2 (9×5-inch) loaf pans with nonstick cooking spray. In a large bowl whisk together the oil, sugar, eggs and the buttermilk. In another bowl stir together the flour and the baking soda. Add the dry ingredients to the wet mixture and stir with a wooden spoon just until blended. Pour approximately 1 cup of batter into the bottom of each pan. In a small bowl combine the ½ cup of sugar, cinnamon and the salt. Sprinkle half of the cinnamon mixture over the batter in each pan. Using a spatula carefully spread the remaining batter over the cinnamon mixture, approximately 1 cup each. 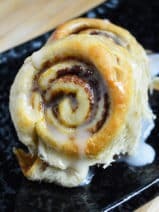 Using a knife or a wooden chopstick, swirl through the batter from one end to the other. Bake for 1 hour, or until a toothpick inserted into the middle comes out clean. Cool 10 minutes, then remove from the pans and place on a wire rack. Cool completely before slicing. 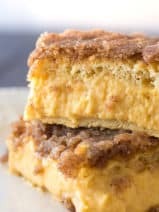 I love to make quick breads and my favorite is cinnamon bread. Thank you for sharing.